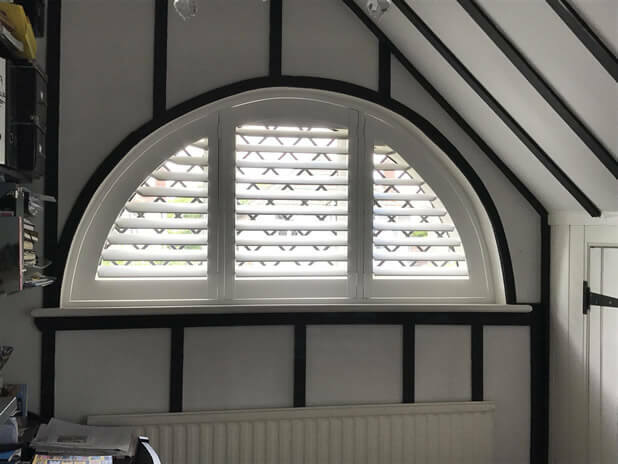 Shaun, Luke and Roy were in one of our local areas of Orpington in Bromley to fit these fantastic shutters to a living area and office in this home. The special shape shutters in the living area are a great example of the highly detailed bespoke work we carry out on a regular basis for customers with irregular shaped windows. 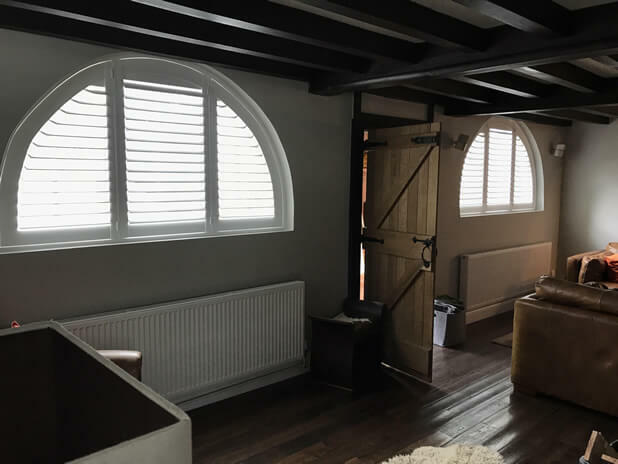 We can design shutters for many different shapes of windows and by creating an intricate template and taking exacting measurements we created these shutters to fit in the semi-circle arches of the windows. 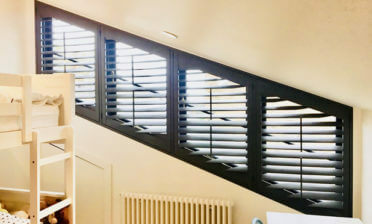 The louvres of these shutters were also designed and expertly crafted to work with the contours and circular edging of the shutter frames, resulting in not only the perfect look, but fully functional shutters as they would work on a standard shaped window. All three panels of these shutters adjust, open and close as you would expect. 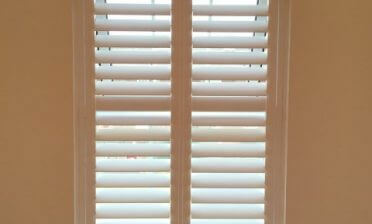 We manufactured the shutters using a hardwood from our Fiji range and finished all shutters in a pure white paint with matching hinges. The property required custom semi-circle shaped shutters for the majority of the windows, with four panels of full height shutters for one of the window areas. As you will agree the shutters make the perfect solution for this cottage and really make the most of all windows, no matter the shape. 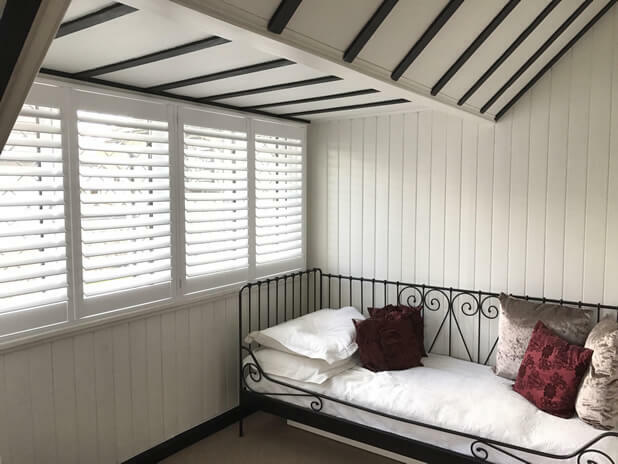 All shutters incorporate a silent tilt rod system allowing for adjustment by touch, without the need for visible rods and resulting in a modern yet traditional look throughout the cottage.